Regardless of the budget, we're happy to help you choose the perfect chair, or will help you design your home from the ground up. Please contact us for more details. The Scott Shuptrine name is synonymous with luxury. We bring an exclusive, premium level of home furnishings and service to Michigan, Illinois, and Ohio, making world-renowned interior design accessible for today’s discerning décor enthusiast. 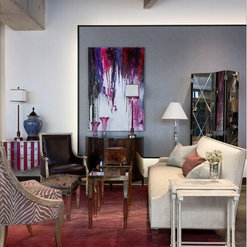 Our team of designers will work with you on a personal basis to create a style unique to your lifestyle and space. Our designers are the key to unlocking the home of your dreams, not just with furniture but also with custom window treatments, floor coverings and accessories to create the welcoming space you envision. 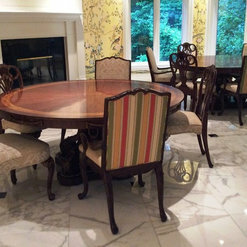 We have a team of professional, accredited interior designers whose services are complimentary with purchase. 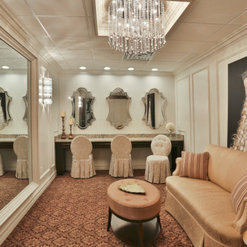 Christopher Ciccone is an amazing designer with the innate ability to make any space functional and stylish. I have worked with him on both commercial and residential settings and have always been extremely pleased with the results. 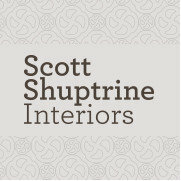 I am looking forward to visiting Christopher at Scott Shuptrine Interiors regarding a new project and thankful he is back in the Royal Oak area! My husband and I recently worked with Jaylen Lewis through ArtVan Furniture. 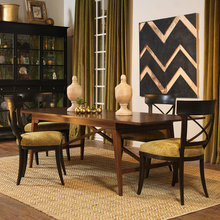 We purchased furniture and flooring through ArtVan. She assisted me with way more than purchasing furniture and helped us completely design our new living room; from lighting, stone, paint color, stains and decor. I could not have pulled off this design without her expertise. Thank you so much for our beautiful new room. We receive so many wonderful compliments. I would work with Jaylen again and highly recommend her. 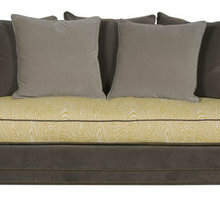 It all starts with the perfect sofa – the centerpiece of any living room. And, I could not be any happier with the experience I had working with Emily Cuozzo! She made my dream of a deep red mohair sofa come true. Her knowledge of the various vendor lines and their fabric offerings led me to perfection and a piece I will covet for a long time. Thank you Emily. 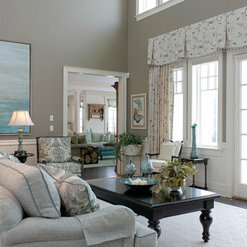 We added a great room on to our existing home and did some remodeling in our living room, dining room and office space. We turned to Bridget Bueche of Scott Shuptrine Interiors to help us furnish our new and improved space. The customer service we received was way beyond our expectations. Bridget actually drove over an hour to our home to see the space before it was finished. She asked us lots of questions about our preferences and how we planned to use the room. One week later, she invited us to her Art Van store to see the selections she had made for us. We were very pleased, so pleased that we took every one of her suggestions - from the furniture to the pillows and pictures on the wall! I heartily recommend working with Bridget. Bridget helped me decorate my 7000 sq ft home. I loved the result. When I put it up for sale, the new buyers obviously loved the decorating too, because they bought most of the furniture and almost everything that was on the walls! Working with Whitney Kane was a wonderful experience. She has a keen sense of design and relates well with people. 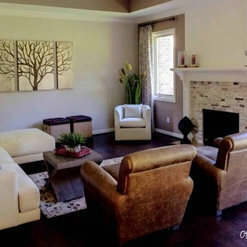 From the moment we first contacted her, she was responsive to our needs, listened to what we wanted, came up with several ways to solve problems and went the extra mile to make our family room beautiful, comfortable, and timeless. We look forward to doing business with Whitney again in the near future! We had the very pleasant experience of working with Amanda Graber during our recent visit to Art Vans. 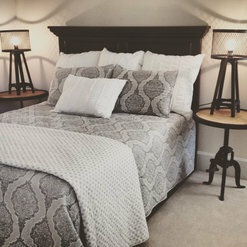 Amanda was very helpful and patient with us explaining the various Style, fabric options / colors for our new "DIVANO" bed. Her knowledge, professionalism and personable attitude is a real asset to the Art Van / Scott Shuptrine Team. We will and have shared our experience with others. We eagerly await the arrival of our new bed. Thank You! Bridget is wonderful !! Fun to work with, extremely patient and great follow thru. Was willing to take her time to find other choices in her multiple resources. I never felt pressured. I have worked with other designers in the best and she - by far- outshines them all. She is great mixing different time periods together and listens well to my ideas/likes. She is professional and confident. I am so happy I met her and had Bridget as our designer. She helped transform a new house into a new home!!!! Whitney gave us top-notch service and better yet expert artistic choices from which to make a selection. She thoughtfully worked from photos of our upnorth dream home and integrated furnishings from downstate to our change in design and feel. She found a unique solution to giving us a low backed sofa look that made our main room look open and inviting. We were able to have our cake and eat it too, it seemed. I won a 500.00 gift certificate from the Detroit Free Press for a design consultation and 500.00 towards a purchase but I didn't need any MORE furniture. Whitney was extremely helpful as I have a problem because being retired from the US Navy, I have no design skills, I have way too much furniture and souvenirs for the house that I now live in and was clueless as to where to start. Having been stationed in Germany, then Washington DC, and having a home in Detroit meant that I had furniture and belongings from each place that I lived for the past 15 years. Whitney came in and mapped out my home and then took an inventory of what I had tucked away in my spare rooms and basement. She was able to take from this overwhelming inventory and develop a plan that makes living much, much easier for me with fewer obstacles in my rooms and a much more tranquil place to come home and relax. I am really grateful for her ideas and thoughts than she will ever realize. 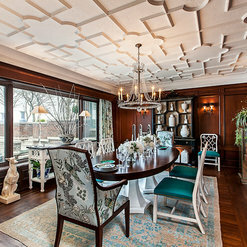 I'm so thrilled Scott Shuptrine Interiors is back! I remember shopping at Scott's with my mother as a child, and now I'm shopping here and using their in-house interior designers as an adult. We have enjoyed shopping the new gallery in Royal Oak and have received an excellent in-home consultation from Tom Verwest, a designer there. Kathy and Whitney (now is Novi) have also helped us and have been great. What's great about Scott Shuptrine is the fact you can see, touch and feel the furniture you're interested in purchasing - customize it just for your home, and all with the expert guidance from their professional designers. There is no charge for their services with purchase. And there's also no fee for deliveries over a certain low charge. 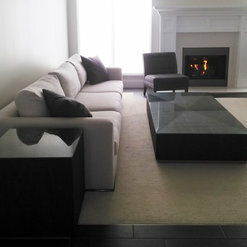 Furniture is delivered with white glove service - and a lot of pieces are ready to ship within just a couple weeks. Our project has just started, but we'll be happy to post pictures when it's complete. So far, so good! Commented: How much does this costHi jeremy, thank you for your interest. Are you inquiring about the chandelier? Please confirm. 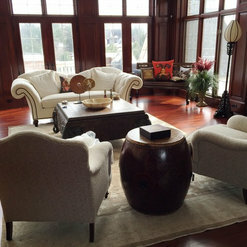 Commented: Who makes this coffee table?This is a table made by Bernhardt Furniture. 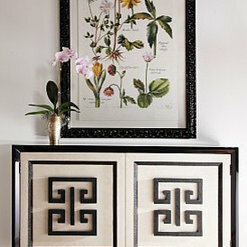 Contact your local Scott Shuptrine Interiors about how to get your very own! 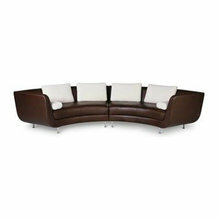 Commented: Where is the coffee table from?This is the Zola Cocktail Table by Bernhardt Furniture. Call your local Scott Shuptrine Interiors for pricing on this limited stock item!